Trade and investment restrictions are proliferating around the world, driven by a combination of security concerns and protectionist pressures. In each instance, policymakers can usually cite a justification of why trade and investment restrictions are necessary. But taken together, a thickening web of restrictions on cross-border transactions is imposing a growing burden on business as well as complicating supply chains. The United States and China have threatened to hit each other with tariffs covering up to $300 billion of bilateral trade in a dispute over intellectual property and technology transfers. 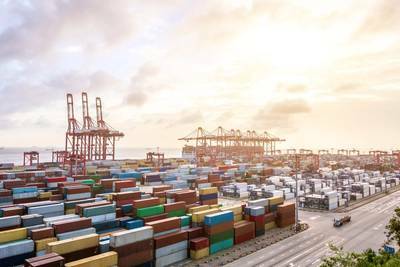 The United States has already imposed anti-dumping and countervailing duties on imports of steel, aluminium and solar panels from China, citing concerns about unfair trade. China has responded with its own anti-dumping duties on imported sorghum from the United States and is investigating other products. U.S. officials have raised security concerns about telecommunications switch gear from Chinese firm Huawei and sought to exclude it from the United States market. The United States has also suspended export licences linked to Chinese telecoms company ZTE, while Britain has warned companies not to install any more ZTE equipment on the country’s network. ZTE is accused of violating secondary sanctions on the supply of equipment to Iran and North Korea, but there are also broader concerns about its equipment being used for spying and cyber-warfare. The U.S. government has pledged to restrict Chinese investment and acquisitions in sensitive high-technology sectors. The Committee on Foreign Investment in the United States (CFIUS) has already been applying heightened scrutiny to transactions involving Chinese firms. In turn, China’s antitrust authorities have started to slow down merger approvals involving western companies operating in the Chinese market. The United States has also hit Russian companies and individuals with multiple rounds of sanctions in a dispute over Ukraine. In many cases, the United States has imposed secondary sanctions, which apply extraterritorially and aim to catch businesses for transactions that occur wholly outside the country. The European Union has implemented its own sanctions on Russia, though it has generally refrained from extraterritorial application. The United States and the EU are both readying further sanctions on Iran in response to its ballistic missile programme and regional activities. The United States, the EU, China and other nations are enforcing sanctions on North Korea (including secondary sanctions) for nuclear-related activities. The United States also appears to be preparing sanctions on Venezuela. Enthusiasm for sanctions is spreading, with Saudi Arabia and the United Arab Emirates imposing an economic boycott on Qatar (including a secondary boycott). Sanctions represent a relatively low-cost way of inflicting economic pain on an adversary and have become the instrument of choice for foreign policymakers ("The art of sanctions: a view from the field", Nephew, 2018). The result is a rapidly growing sanctions-industrial complex led by the U.S. Treasury’s Office of Foreign Assets Control, security services and financial regulators in the United States and the European Union. The sanctions-industrial complex also includes a growing army of specialist compliance firms and compliance officers embedded within businesses. In addition to the sanctions-industrial complex, a growing number of regulators and trade authorities show an increasing propensity to favour greater restrictions. The Office of the United States Trade Representative, the U.S. Department of Commerce, CFIUS, and the departments responsible for antitrust policy all show a rising preference for protection rather than openness. For most of the period since 1945 and especially since the end of the Soviet Union, the main thrust has been towards greater openness on trade and investment. The dismantling of trade and investment barriers was embodied by eight rounds of successful trade negotiations under the General Agreement on Tariffs and Trade culminating in the ambitious Uruguay Round (1986-1994). But the liberalisation thrust has stalled in recent years with the failure to conclude any new multilateral trade agreement for almost a quarter of a century. The high-water mark of globalisation may have passed. Now trade and investment barriers are rising, rather than falling. Liberalisation, openness to trade and cross-border investment have few defenders within the U.S. and European political class. Left-wing politicians and labour unions blame trade liberalisation for stagnating wages and incomes in the advanced economies. Right-wing politicians and security hawks fear liberalisation, investment and technology transfer is strengthening potential adversaries. Sanctions experts, financial regulators, intelligence agencies and foreign policy specialists all increasingly employ trade and investment restrictions as their first-choice policy instrument. Traditional mechanisms for resolving trade and investment disputes through the GATT/WTO are ill-equipped to handle the new round of restrictions citing national security and foreign policy concerns. Complying with the ever-increasing number of restrictions is becoming increasingly difficult for businesses operating across national frontiers and is causing a growing number of distortions. Policymakers are rapidly embracing trade and investment restrictions for a range of reasons, ranging from trying to raise wages to protect strategic sectors and national security concerns. But their enthusiasm for trade and investment barriers arguably threatens the foundations of the post-1945 international economic system and could end up doing more harm than good.